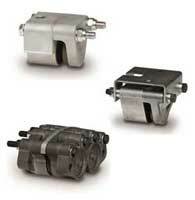 Tolomatic P10, P20 and P30 series caliper disc brakes are available in both double and single acting models. All have replaceable high-grade friction material, Buna-N seals and zinc plated bolts. They are durably constructed for years of service.